Supports FAT16 and FAT32 file system. 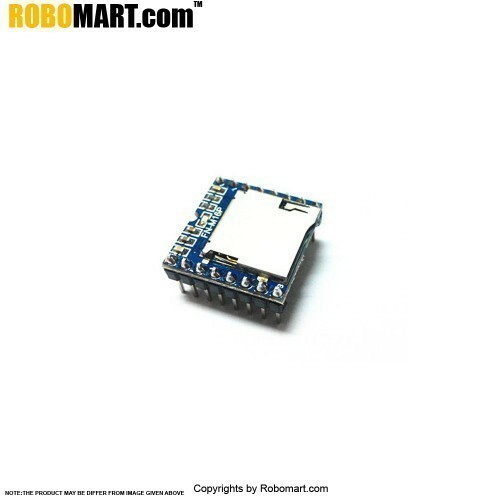 Supports AD key control mode and UART RS232 serial control mode. Supports maximum 32GB micro SD card and 32GB USB flash drive. Supports maximum 3000 audio files under the root directory of the storage device. Supports maximum 99 folders, and each folder can stores 255 audio files. Built-in a 3 watts amplifier that can direct drive a 3 watts speaker. 30 levels adjustable volume, and 6 levels adjustable EQ.